Sylvester Stallone and Florian Munteanu in Creed 2. In almost 50 years in movie business, Sylvester Stallone’s most beloved role is arguably that of Rocky Balboa, the working class Italian-American amateur boxer from Philadelphia who hits the big time when he gets the chance to fight in the world heavyweight championship. The 1976 film Rocky was a calling card for Stallone like no other – and the character has deservedly etched itself in the hearts of millions of moviegoers worldwide. Over the next 40-plus years, Stallone stuck with the character for eight more films, six bearing the titular character’s name and the last two shifting the focus on up-and-coming boxer Adonis ‘Donnie’ Creed (Anthony B. Jordan), son of Rocky’s former rival Apollo. 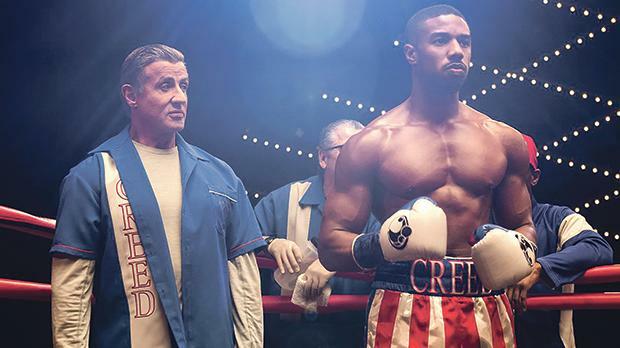 2015’s Creed introduced us to the character, with Stallone’s Rocky stepping into his corner as Donnie’s trainer, the actor graciously ceding the limelight to the new kid on the block. Creed II continues to follow Donnie’s career, as he starts to enjoy his newfound success and plans to commit to his girlfriend Bianca (Tessa Thomson), all the while still grappling with his father’s legacy. This latter internal battle comes to the fore when he is challenged to a fight by heavyweight contender, Viktor Drago (Florian ‘Big Nast’ Munteanu) – the son of Ivan Drago (Dolph Lundgren), the Russian boxer who killed Apollo in the ring three decades earlier. It is a challenge Donnie wants to refuse but inevitably he can’t, seeing it as an opportunity to avenge his father. Like the outcome of most of Rocky’s bouts, Creed II is best described as a safe bet. It is a film washed in nostalgia – the plot obviously heavily references Rocky IV and the Rocky/Apollo/Drago triangle – and one with a foreseeable outcome. The film, directed by Steven Caple Jr and written by Juel Taylor and Stallone himself, treads the familiar path of its predecessors with its formulaic take on the subject. That the first main bout in the film occurs barely halfway through pretty much signposts its conclusion. Donnie accepts Viktor’s challenge – and that fight comes to a pretty agonising conclusion for Donnie – ending up as he does severely hurt and in the hospital, questioning his life and career. So begins a long period of rehab during which Bianca discovers she is pregnant, giving Donnie a reason to snap out of his funk and get back in the ring again for a rematch with Viktor. The characters form an engaging enough ensemble. Jordan’s Donnie is a likeable young man, plagued with doubts about his life as his inexorable rise to the top so summarily comes to a halt. He shares some genuinely warm moments with both his mother Mary Anne (Phylicia Rashad) and Bianca. Rocky’s genuine affection for Donnie is never in doubt. That said, unusually, the more emotional aspects promised by the story are glossed over – be it news affecting the health of Donnie and Bianca’s child; Rocky’s relationship with his estranged son; or even Donnie’s coming to terms with his father legacy – and clumsily handled as a vital part of the plot. Furthermore, the thinly-sketched portrayal of Ivan and Viktor Drago does the film no favours. Ivan’s thirst for revenge against Donnie doesn’t ring true for a moment. After all, he is the one who killed Donnie’s father in the ring and, if his eagerness for Viktor to fight Donnie is to avenge his own loss against Rocky all those years ago again, there is no palpable reason for it. The only time Rocky and Ivan meet each other is a short scene where they mumble platitudes to one another which mean little. What is even worse is that Viktor is portrayed as a hulking goon of a man with no personality whatsoever. And, again, the subplot concerning Ivan’s wife and Viktor’s mother Ludmilla (a returning Brigitte Nielsen) is given short shrift. It feels as though the filmmakers do not want the action to stray away from the action for too long. And it is indeed in the boxing ring where the film excels, pulling no punches in depicting the two major fights in all their bloody and brutal glory, with vivid close ups of leather thudding against skin. The boxers are, in turn, forced on the ropes, pummelled to the ground, and made to roll with the punches until one of them throws in the towel – with the obligatory training montages padding the narrative. And yes, Rocky’s Theme does sneak in at one point, cementing the nostalgia factor once and for all, as we recall the legacy one of cinema’s enduring and endearing heroes as he hands his gloves to the next generation. 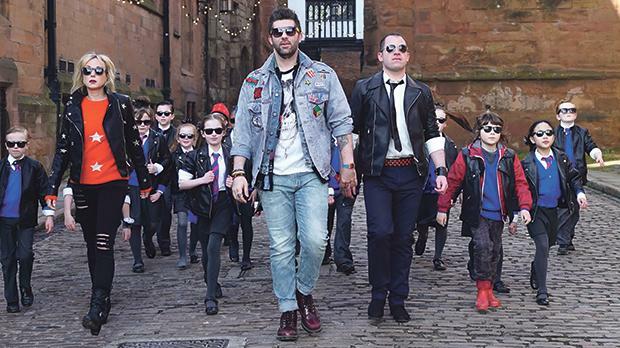 Nativity Rocks: The staff and students at St Bernadette’s Primary School audition for a coveted place in a spectacular rock musical competition.